The pearl of the Adriatic! Just by taking a look at the number and variety of hotels and other types of accommodation in Dubrovnik tells you something about this beautiful town’s popularity. 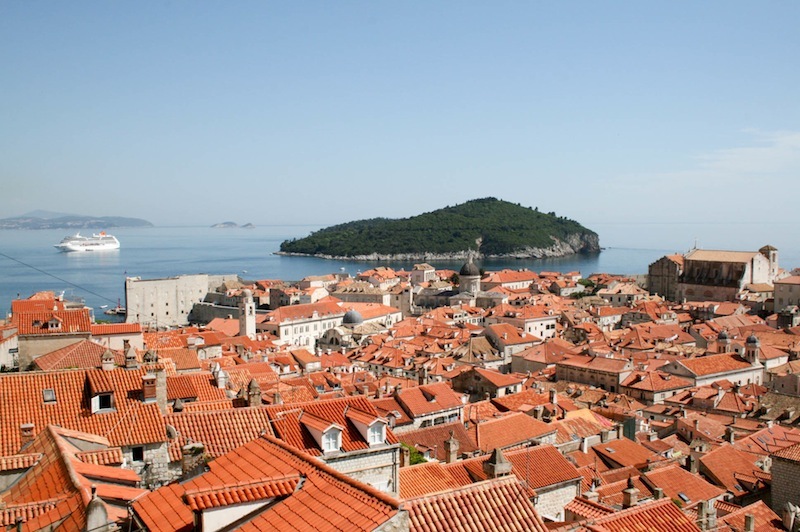 Dubrovnik has great flight connections from all over Europe – see our Flights to Croatia section as well as our Getting to Dubrovnik page. You can also fly inexpensively to Bari in Italy with Ryanair and take an overnight ferry directly across. See our Travelling From Italy section for more details. There are good bus connections from Dubrovnik to elsewhere in Dalmatia and Croatia, and there’s also a catamaran that operates from Split (via Brac, Hvar, Korcula and Mljet) which runs from May to October. You can search for accommodation in Dubrovnik for your chosen dates using this search box; alternatively, take a look at list of hotels and private accommodation in various categories in the list featured below. Do also take a look at our special Accommodation in Dubrovnik Old Town page for places within the Old Town walls! Click on the different tabs to see hotels under each star rating.